No trip to New Orleans is complete without a day of sightseeing on the riverfront. It’s an essential, iconic experience that’s just steps away from the historic French Quarter – and only a block from your front door when you book your stay at Bienville House. New Orleans was born along the banks of the Mississippi River, and 300 years later, the riverfront is still a thriving hub of the city’s best sights, experiences, and attractions. 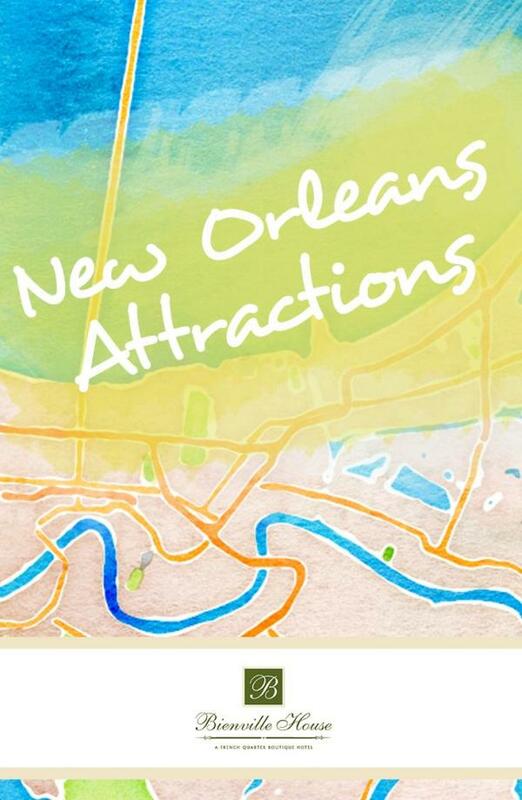 Ready for a tour of New Orleans’ bustling, fun-filled riverfront? Here’s all the must-see spots along the mighty Mississippi! 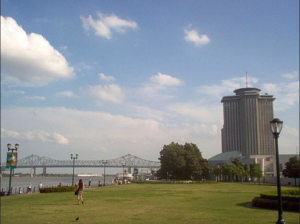 Located right where the historic French Quarter meets the Mississippi River, Woldenberg Park is one of the city’s most gorgeous outdoor spaces. It’s the perfect spot for a picnic with stunning views of the river, acres of green grass and shady benches, and plenty of cool breezes. With the Quarter as its neighbor, the park offers the perfect mix of tranquil scenery and NOLA excitement. You can sit back and watch the steamboats flow by, explore the sculptures throughout the park, and listen to the lively music at one of the many bandstands. The Moonwalk is the riverfront path in Woldenberg Park, but it deserves its own spot on the must-see list. This charming brick path takes you right up the edge of the mighty Mississippi and leads right to the dock for the river-cruising steamboat Natchez. It’s the perfect place to snap a Riverfront picture! The Moonwalk will lead you to one of the riverfront’s most famous attraction, the Aquarium of the Americas. This renowned institution is a one of the top aquatic museums in America and is full of excitement for all ages. Home to 15,000 sea life creatures that represent nearly 600 species living happily in a state-of-the-art facility, visitors can get an inside look into the unseen world below the waves. 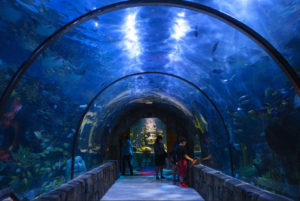 Be sure to take a walk through the Caribbean Reef Tunnel, a 30-foot-long underwater walkway that lets you stroll along the ocean floor. And right next door you can check out the IMAX Theater for a jaw-dropping movie experience. Just past the aquarium is Harrah’s 100,000 square foot casino, a luxurious attraction full of bright lights, thrilling fun, and big winners. 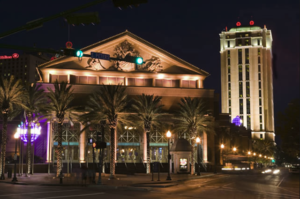 Harrah’s is where the Riverfront meets Canal Street, making it the perfect spot to take in the excitement of Crescent City’s bustling downtown district. 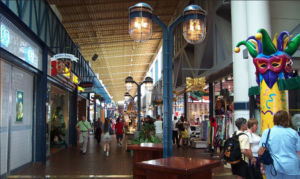 A walk along the riverfront will lead straight to the Riverwalk mall, one of the best places to do some shopping in New Orleans. This fantastic mall is worth a visit any time of year, rain or shine. It has plenty of eye-catching brands, offering everything from upscale styles to iconic design boutiques. You’ll find three levels of shops and eateries to enjoy, including an indoor Café du Monde where you can grab some beignets. And keep an eye out for the strolling jazz bands that are sure to put a spring in your step! With our ideal location in the heart of the French Quarter, you’re just moments away from the excitement, attractions, and natural splendor of New Orleans’ riverfront. Come enjoy these special NOLA spots just beyond your door when you book your stay at Bienville House!